Despite the fact we have a huge range of advice on this site, from our matched betting basics to our slightly more broad and advanced matched betting tips, we appreciate it can be a bit daunting for some people. And whilst we generally cover the majority of common questions that we’re asked in one place or another, not everyone wants to go searching through twenty guides to find the piece of advice they’re looking for. 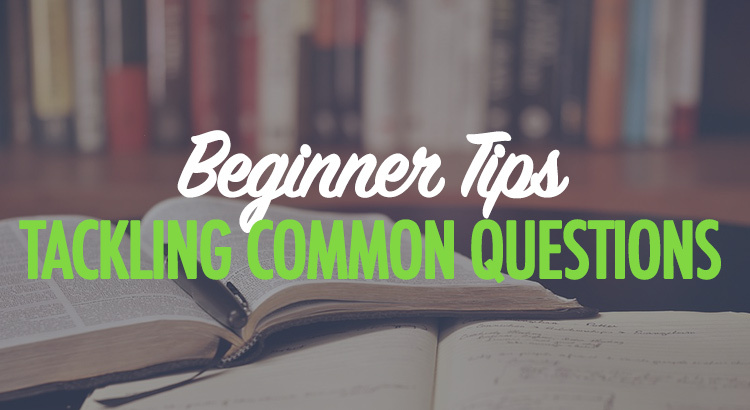 Therefore, in this post, we’re rounding up (and heavily summarising) some of the most common beginner tips we give out and the most common questions we answer too. Do You Need to Have Sporting or Betting Knowledge? How Do You Place a Free Bet? Can You Withdraw After a Sign-Up Offer? Should You Use a New Bank Account? How Do I Do This Outside of the UK? The most simple way to get started is to follow our free beginner matched betting course. We might be biased, but there is no better place to pick up the basics. You’ll learn a variety of techniques, tactics and we walk you through two real offers where you’ll earn some real profit, too. We won’t give too much away, we’ll leave you to check it out if you think it would interest you. You will learn how to place bets during the process if necessary, and all bets are found for you via simple-to-use software. Many people that start matched betting have never placed a bet in their lives and many more have no interest in sport whatsoever. One of the biggest tips is learn how to change the odds formats on bookmaker sites and switch them to decimal odds. Not only are decimal odds essential for matched betting (due to using calculators) they also make it much easier for you to work things out once you’re used to them and the process. Usually, a free bet will either be credited to your account either instantly or after your bet finishes. You will see it in your account when you go to place your next bet. Within the bet slip, you will see the option to either use your own money or use the free bet that has been credited to your account. If you don’t see this option then the free bet probably hasn’t been credited yet. Check the bookmaker terms and if it’s not been credited within the timeframe they said it would be, a simple message on live chat or email should do the trick. Assuming there is no sports wagering requirement, which most commonly there isn’t, you can withdraw the money if you wish. However, if you do win into the bookmaker account, we do recommend placing at least one mug bet before withdrawing. Not everyone can afford to do this with their bankroll and if you can’t, don’t sweat it. If you do want to make a good amount of money over a longer period of time, you should start as you mean to go on with looking after your accounts as well as you can. Bookmakers can run a simple search to see who has used a sign-up offer, withdrawn and never returned. Make sure you won’t come up in this search. Setting up a new bank account for this can be handy, but it’s not essential. Your credit score will not be affected by gambling; by signing up to or using bookmakers or casinos. However, if you wish to apply for a loan or mortgage, having hundreds of betting deposits may look suspicious. Plenty of people manage to still get their loan or mortgage with these on their statement, but it may be wise to avoid a potential tricky conversation in the future. If you do use a new bank account, you’ll need to ensure it’s not 100% gambling related. Make sure you’re paying some bills and buying things at least fairly regularly through the account. Continuing to use your current bank account should not be a problem and does allow you to start betting a little quicker than setting a new one up. It’s your decision and mostly personal preference. Liability is something that confuses a lot of people but it’s extremely simple to understand. Liability is the amount of money you need in your exchange to cover a bet. If you were betting £10 at odds of 4.0 (3/1) then you could potentially win £30 profit. This means the bookmaker’s liability on that bet is £30. They need £30 in their account to be able to pay you your potential winnings, should you win. On an exchange, when you’re placing lay bets, you’re basically the bookmaker. Your liability is, therefore, the amount of money you need in your account to pay for a lay bet. This money will be returned to your account (and the lay stake on top) if the selection does not win. If your back bet wins, all of your liability will be won into the bookmaker account (see: Can You Withdraw? above). Unfortunately, we only currently help for UK-based offers and bookmakers. If you have access to a betting exchange then you can ‘back and lay’ following the same methods that we teach all over this website. You can check the websites of Betfair, Smarkets, Matchbook and BETDAQ to see if they allow customers from the country you’re residing in. If you do not have access to a betting exchange, you must swap the idea of matched betting for dutching. KYC, or ‘Know Your Customer’, means that bookmakers and casinos will have to identify who you are at points. To help with this, we recommend that you take a picture of your ID – front and back – and a recent utility bill now. This will just save you need to take these pictures when you’re inevitably asked to verify your account in the future.